So you’re a Christian and you’re single – and you want to meet single Christians like yourself? For friendship or because you want to settle down with someone who shares your Christian faith. You probably know that finding other like minded single Christians isn’t as easy as say finding your nearest supermarket! There are loads of them around obviously, but single Christians……. they seem much harder to find don’t they? Perhaps you’re the only Christian single in church or perhaps the other singles just aren’t your type or remotely near your age. Have you begun to despair meeting the right person? The good news is that there there are loads of single Christians around – you just have to know where to look. Once you start looking in the right places, you’ll be amazed at the number of fellow single Christians you can meet. And that’s what finding someone special is all about isn’t it – broadening your social circle and getting to meet other single people who are in the same boat as you and who are also looking to meet new people. It’s full of great ideas of what to do and where to go to meet other single Christians. To get your own copy all you have to do it just enter your name and email address into the form on the right. 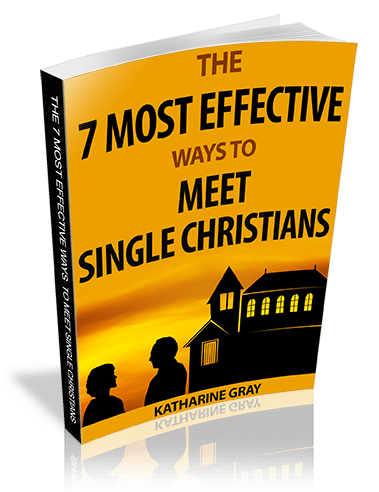 You’ll then be sent an email containing the ebook – it’ll take you less than 15 minutes to read but it’ll give you a whole host of ideas – things you’ve probably never considered before – on great ways to meet other single Christians.